One of the questions that many people ask about mobile SEO is this: Is a separate SEO campaign required specifically for mobile? How is it different from traditional web SEO? On the other hand, everyone knows that oncology is medicine’s branch for cancer, similar to mobile SEO, which is a niche within SEO dealing with SEO for mobile search. This relates to the behavior of somebody using a smartphone to conduct a search. Also, if my doctor thinks that I have cancer, my next step would be to contact an oncologist to help me diagnose, treat and remove the cancer. Similarly, SEO for mobile sites is done by SEOs, and the webmaster in question may not have an SEO background. Webmasters can apply the general SEO principles relating to the websites accessibility, marketing and relevance to mobile search. However, there are nuances and difference in the optimization of mobile sites which do not apply to desktop sites. Some of them apply more to mobile sites than to desktop sites. Whenever we discuss web SEO, we are talking about pushing more quality, keyword rich text to make the page relevant to search engines. This applies more to designers for desktop sites in comparison to mobile sites. It also becomes harder to justify typical SEO practices for mobile, like putting at least 250 relevant words of text on a mobile web page. There are also different mobile site standards due to the many different user experiences. SEOs who apply the usual practices to optimize apps usually fail in doing so. On the other hand, someone who has done mobile SEO will understand the nuances and the problem in a detailed way in order to make a difference. 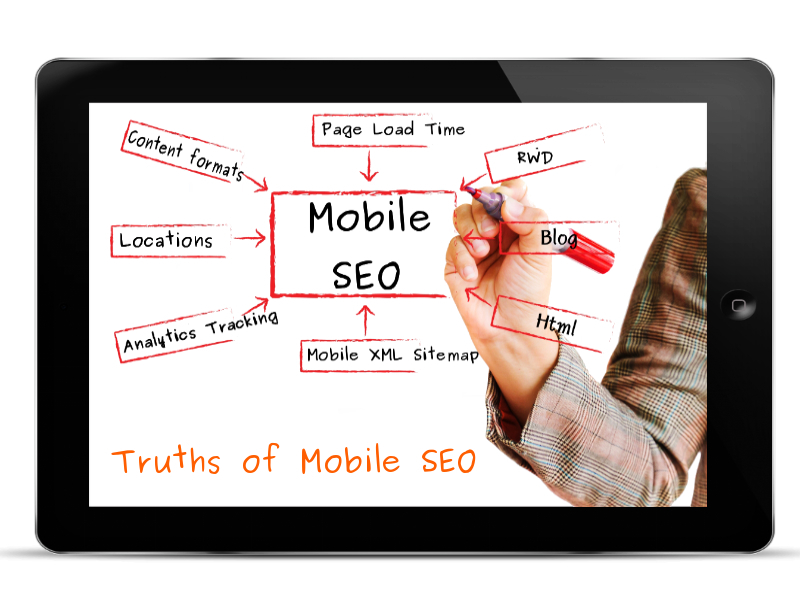 App SEO or mobile SEO is not about optimizing the mobile sites. It is not about pasting content up on the internet and letting potential customers find it through Google or the other search engines. According to Google, different mobile algorithms exist to provide an improved mobile user experience. This is one factor that makes a difference in search results for mobile searchers Vs desktop searchers. 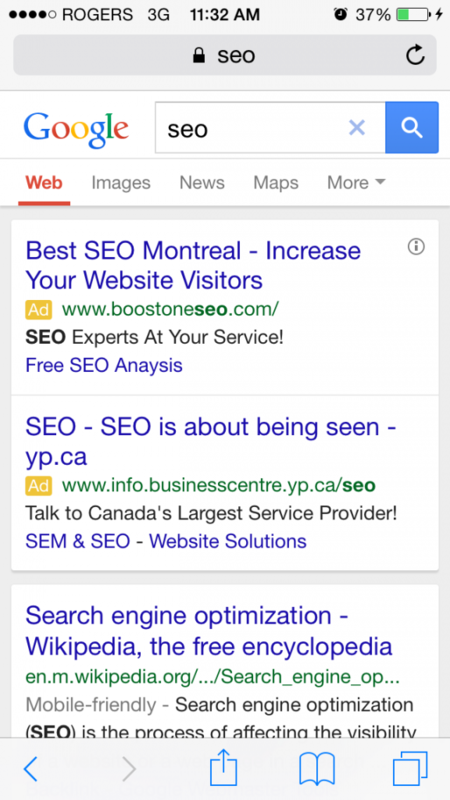 Higher ranking matters more in the mobile search. This is because the screen gets really small on mobile, meaning that a drop from the 1st to the 4th position of a mobile phone can mean a drop off of 90% or even more in the CTR (Click-Through-Rate). In other words, if you’re estimating traffic for your SEO campaigns, you’re not considering the mobile click through rates and the mobile search volume. A mobile searcher is highly engaged and is less involved in scrolling compared to a desktop searcher. This means that if you don’t have the top spot, you are not really optimizing the website for mobile search. There are also other differences between what is commonly called the mobile SEO vs the desktop, regular or traditional SEO. In order to make the process easier, you can consult with one of our experts to handle all aspects of your websites desktop and mobile SEO campaigns. Click Here to contact us today!